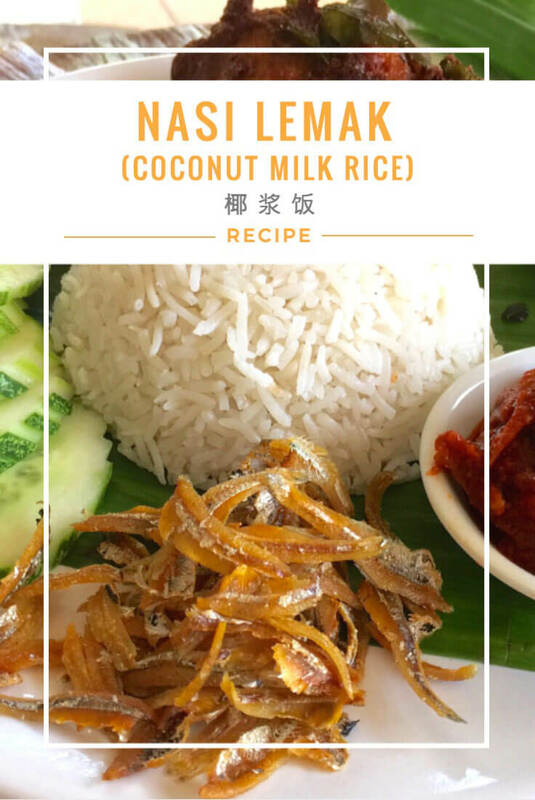 Nasi Lemak (Coconut Milk Rice 椰浆饭) is undoubtedly the national dish that represents Malaysia and most probably the most popular traditional dish in Malaysia, to locals and foreigners alike. It is one dish that binds everyone together, despite the wide diversity of cultures and cuisines in Malaysia. 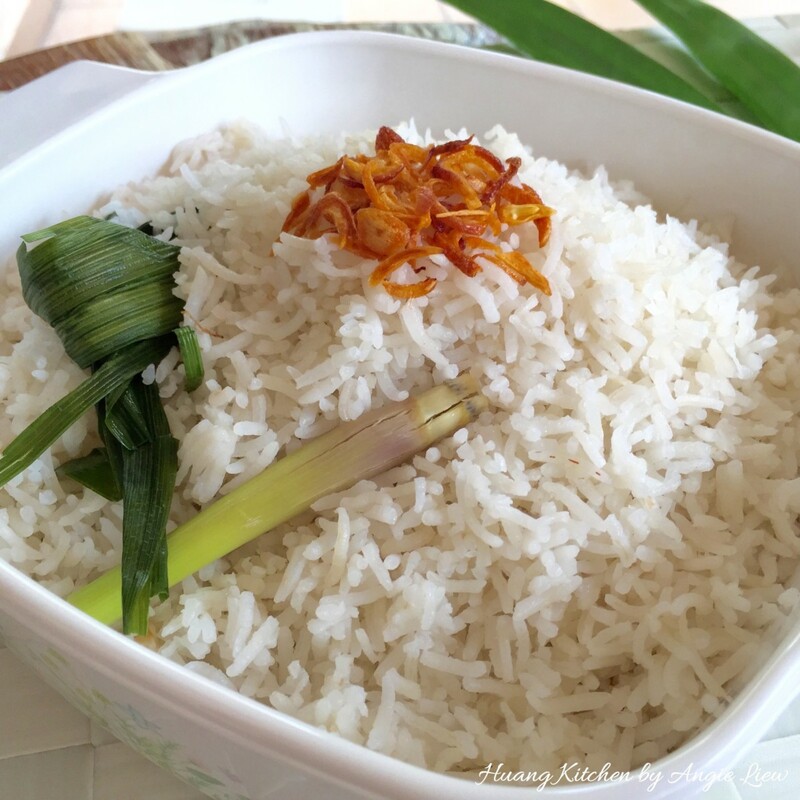 A truly remarkable Nasi Lemak (Coconut Milk Rice) is not to be taken lightly. It constitutes of good quality rice cooked in rich and creamy coconut milk with screw pine leaves infused during the cooking process to create the best flavours and texture. Hence much effort is required to prepare this legendary dish. Sambal ikan bilis is a very important component for the cooking of Nasi Lemak. 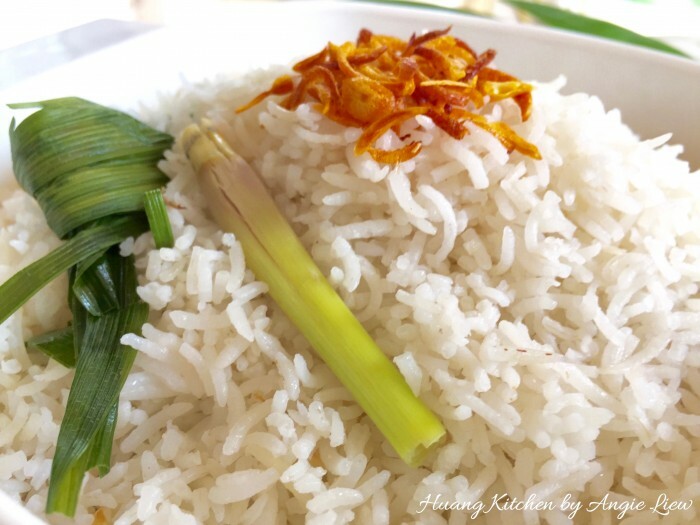 It is a vital accompaniment and a MUST have dish for Nasi Lemak (Coconut Milk Rice). 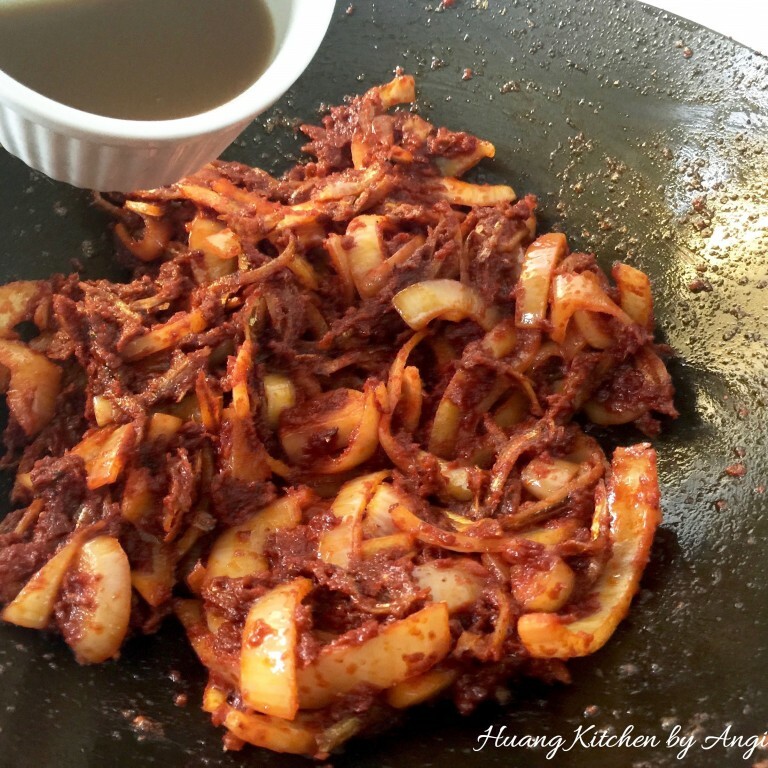 To make the sambal, first fry the dried anchovies and then cook them with a spice paste, tamarind juice and the flavourful shrimp paste. 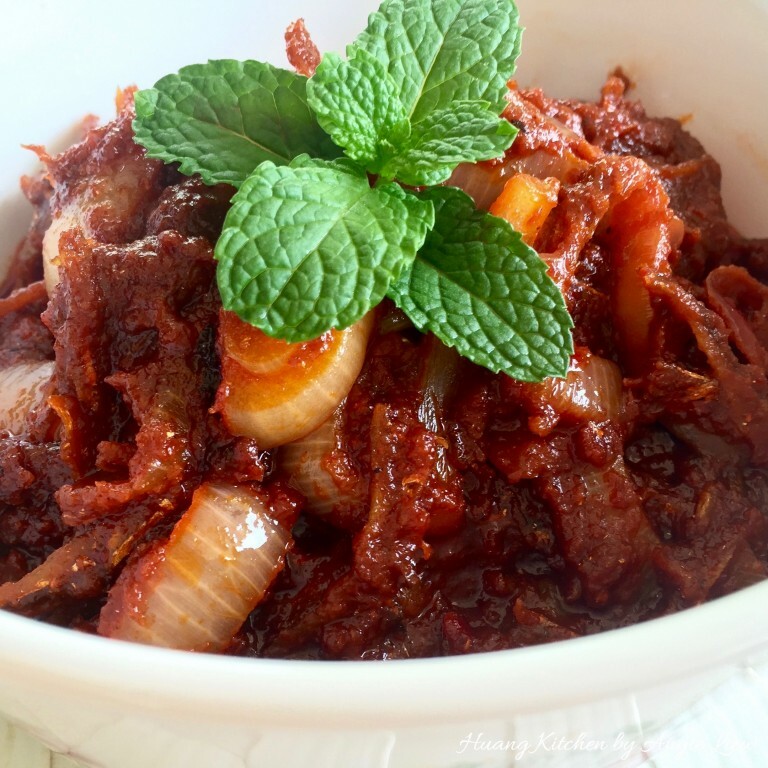 And what we have is a much craved for anchovy dish, sambal ikan bilis. 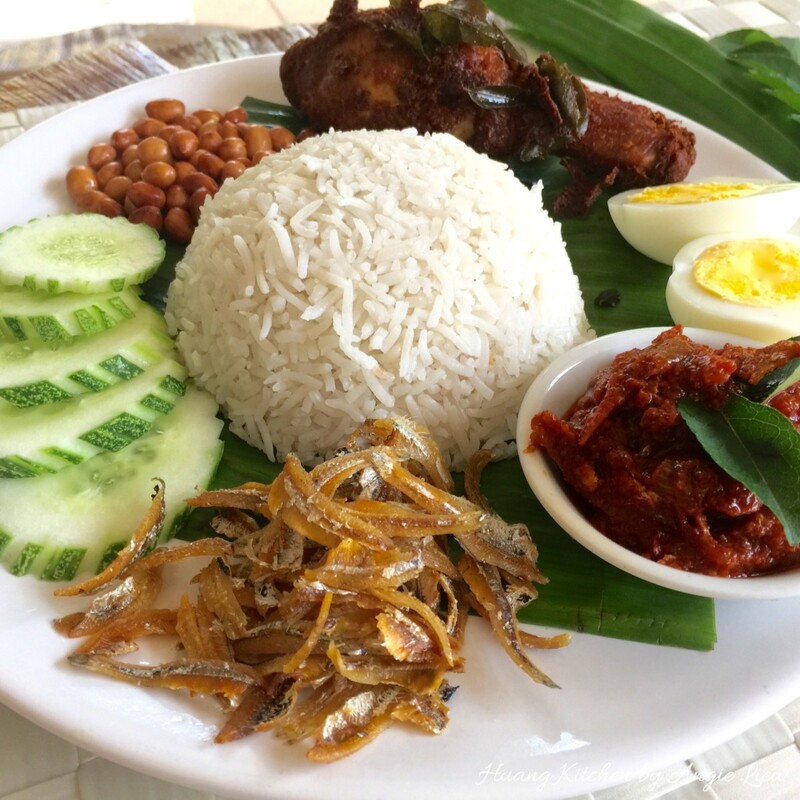 A typical plate of Nasi Lemak is served alongside fried anchovies, roasted peanuts, sliced cucumber, hard-boiled eggs and an addictive spicy sambal. For more elaborate versions, spicy fried chicken, chicken rendang, curry chicken are also included. Nasi Lemak (Coconut Milk Rice) is a popular dish in Malaysia. 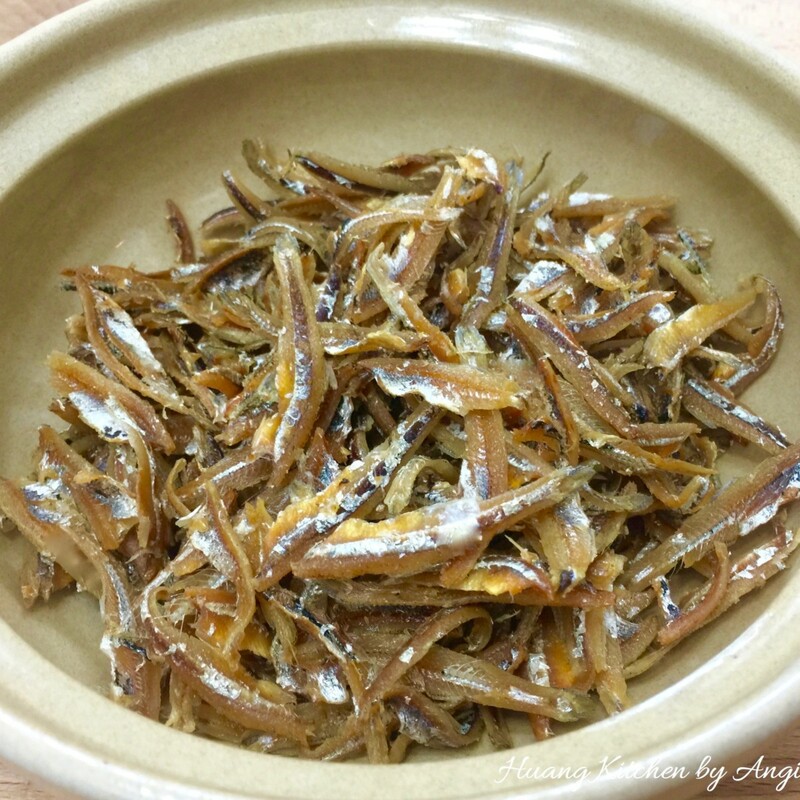 It is usually served with a spicy sambal, sliced cucumber, deep-fried anchovies, fried peanuts and hard-boiled eggs. First rinse the rice and drained. 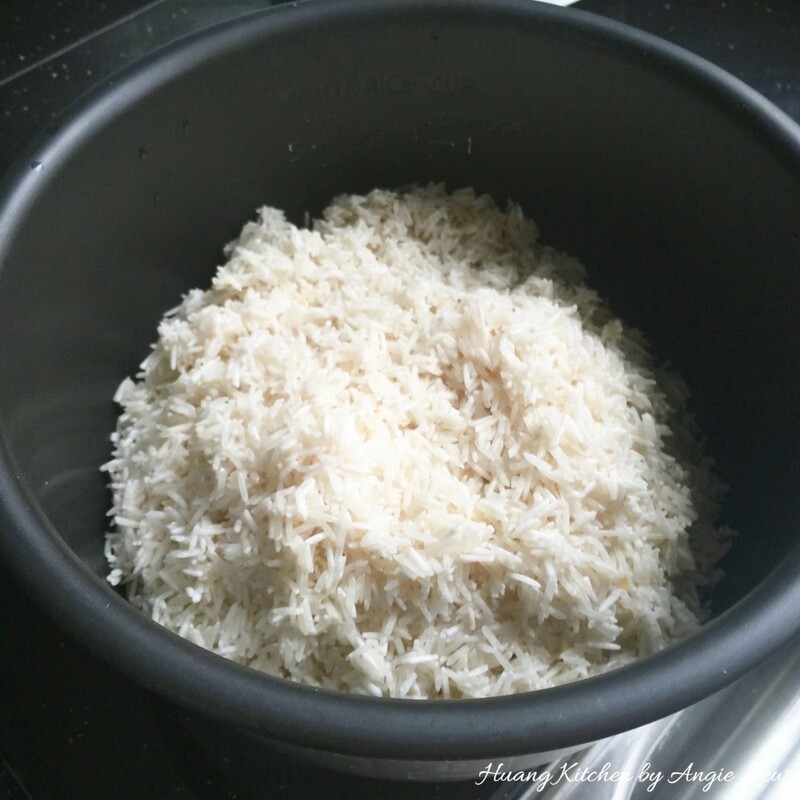 Place the drained rice in a rice cooker. 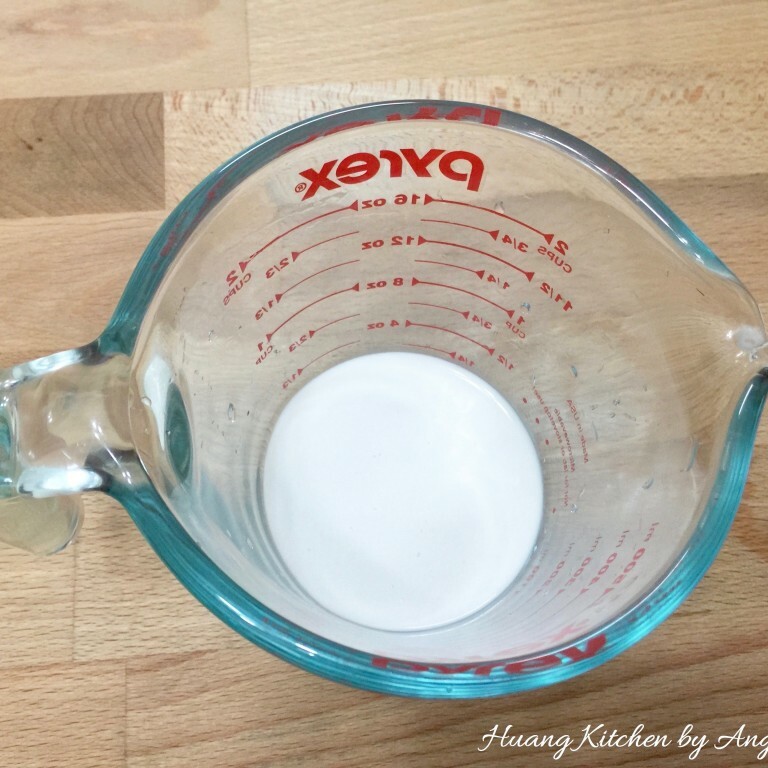 Pour 50ml (1/4) of the thick coconut milk into a measuring cup. Then dilute with some water. Add in salt and sugar and stir to mix. Pour the coconut milk mixture into the drained rice in the rice cooker. 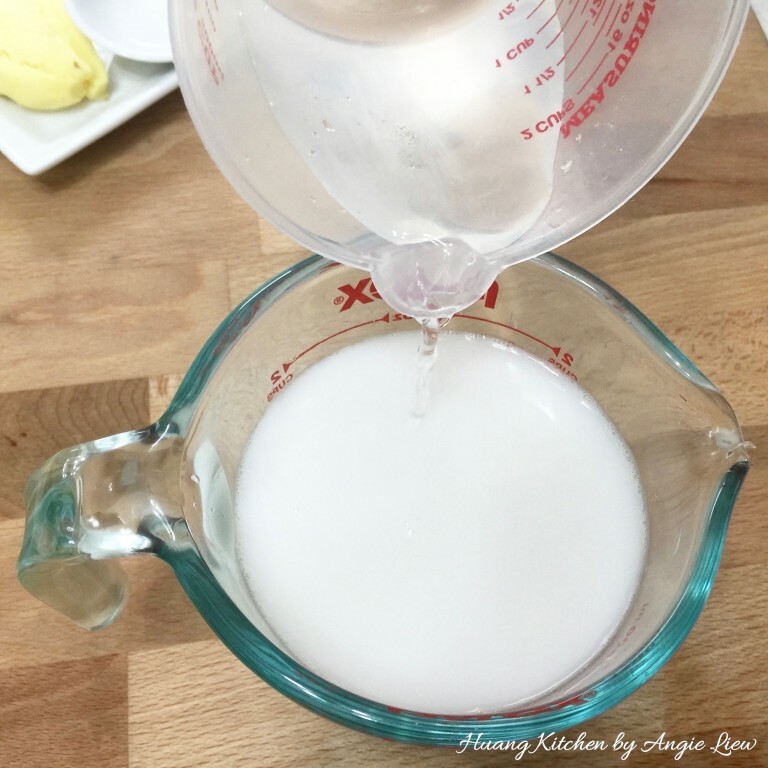 Add in additional water to make sure the volume of the watery coconut milk is the same as the rice in volume. (Altogether is about 6 cups). Lastly add in crushed ginger, lemongrass and screw pine leaves. 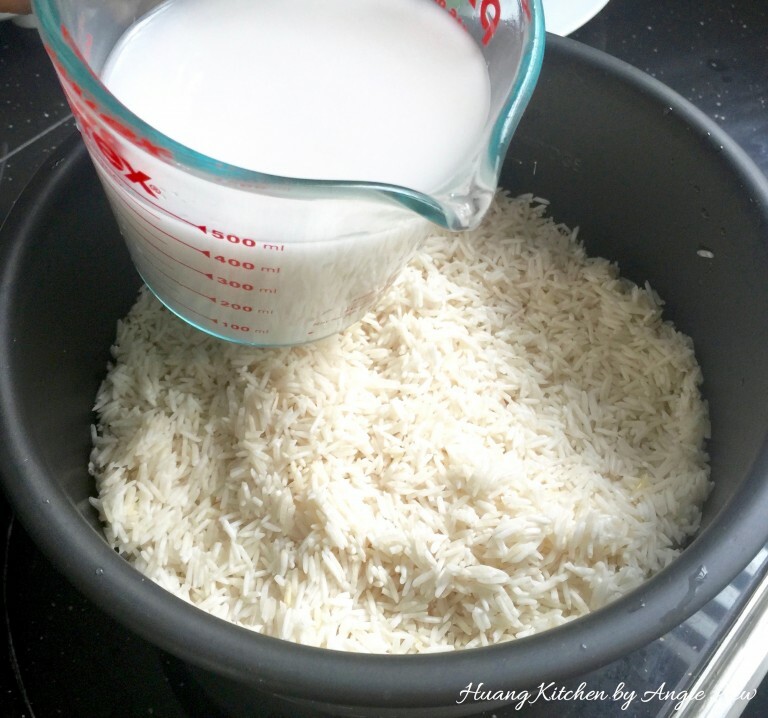 When the rice reaches warming stage, add the balance (150ml) of the thick coconut milk. 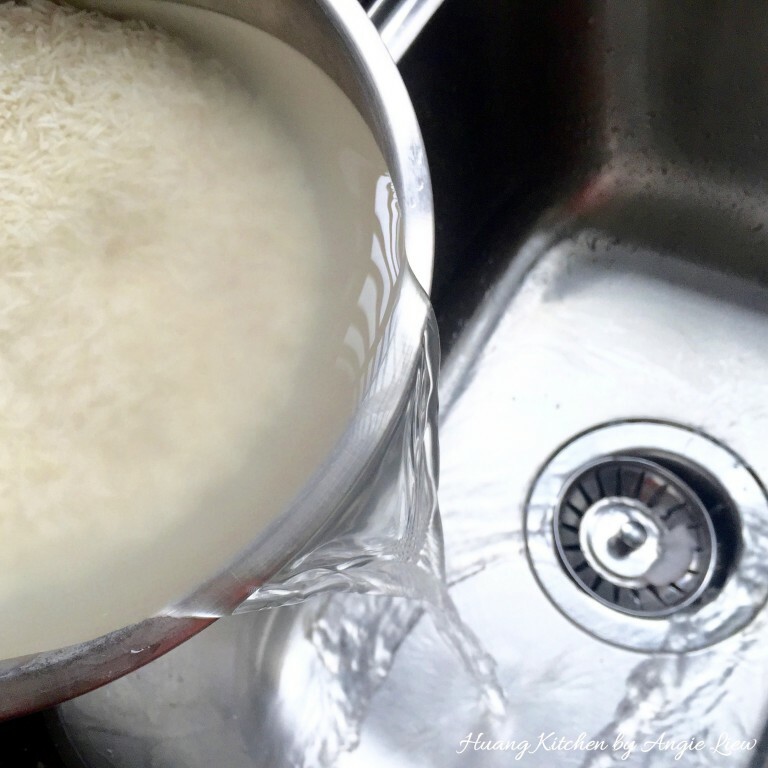 Stir the rice. 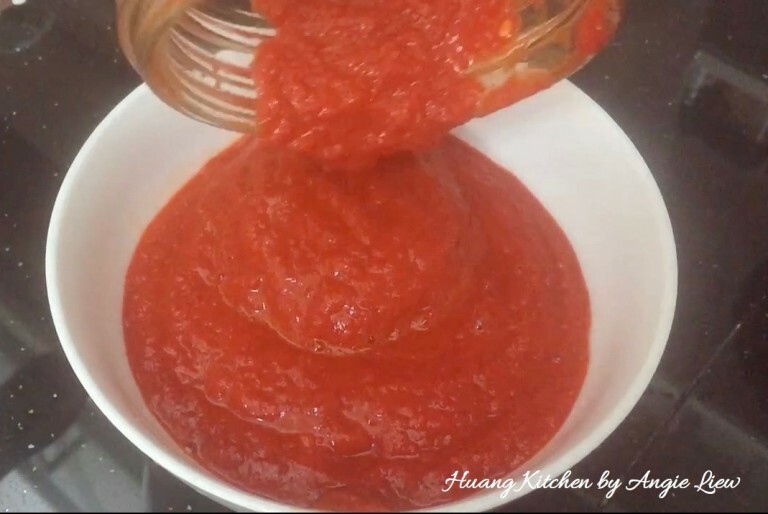 Close the lid and continue cooking until done. 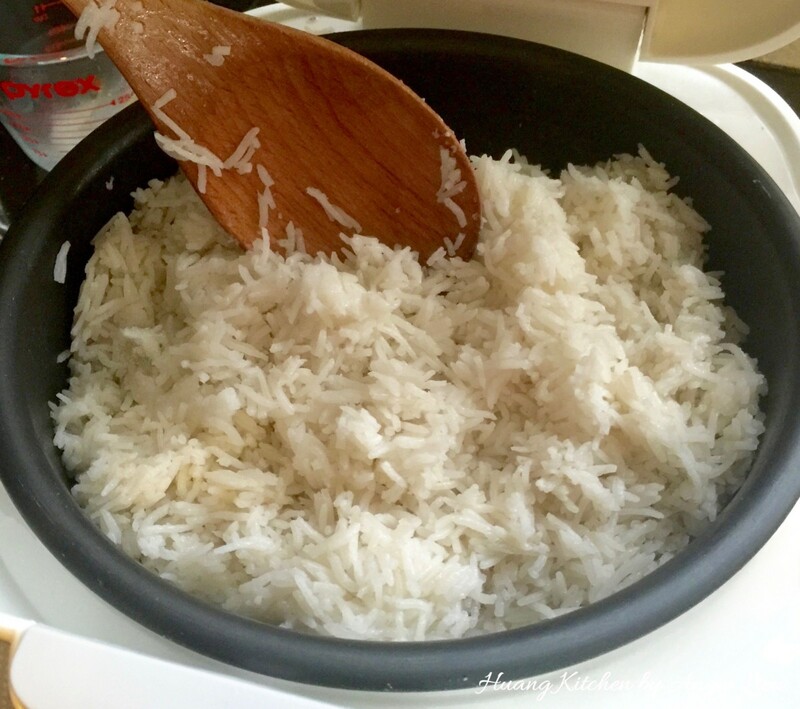 Fluff up the rice and serve it hot. 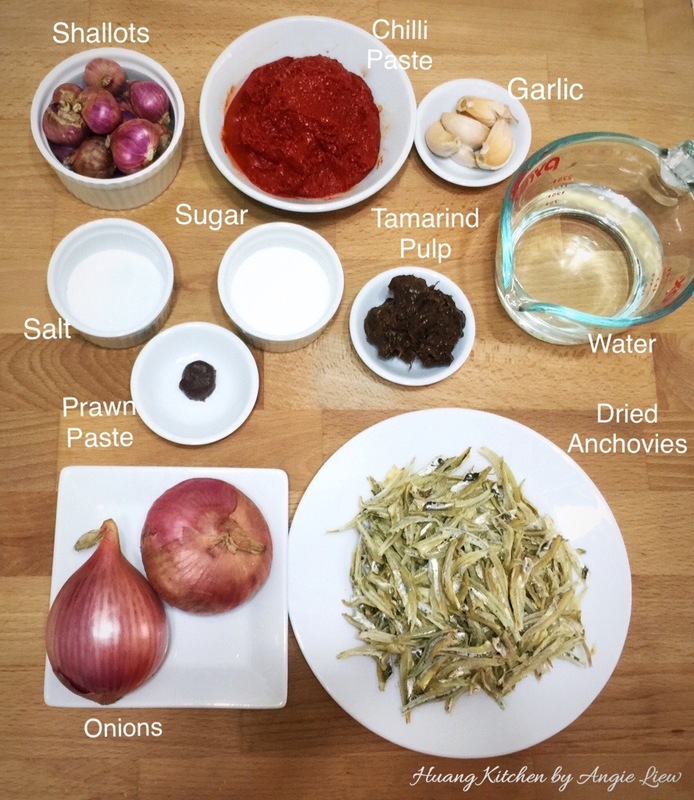 Then prepare to cook the sambal by having ready the ingredients needed. Blend soaked and deseeded dried chillies to chilli paste and put aside. Next, blend together shallots and garlic and set aside for later use. 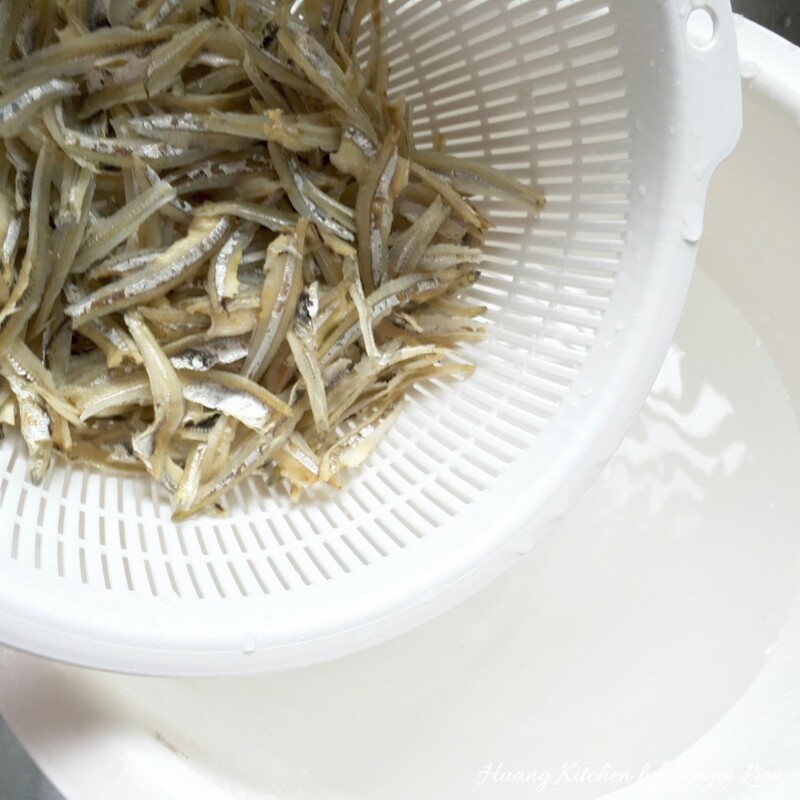 Rinse the dried anchovies in cold water and leave to dry thoroughly. 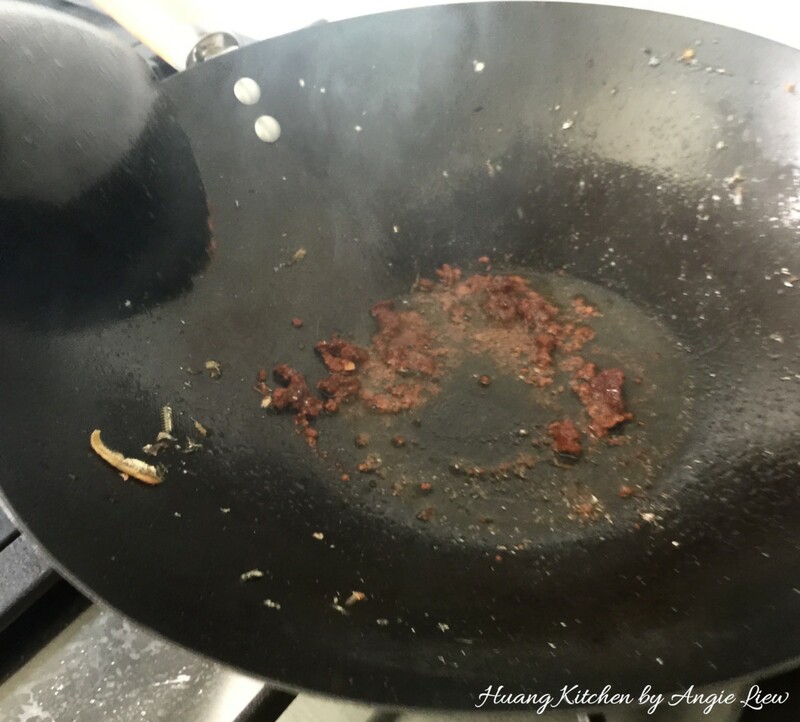 Heat some oil in wok until almost smoking and fry the anchovies over low heat until they turn light brown and crisps. Strain and set aside. 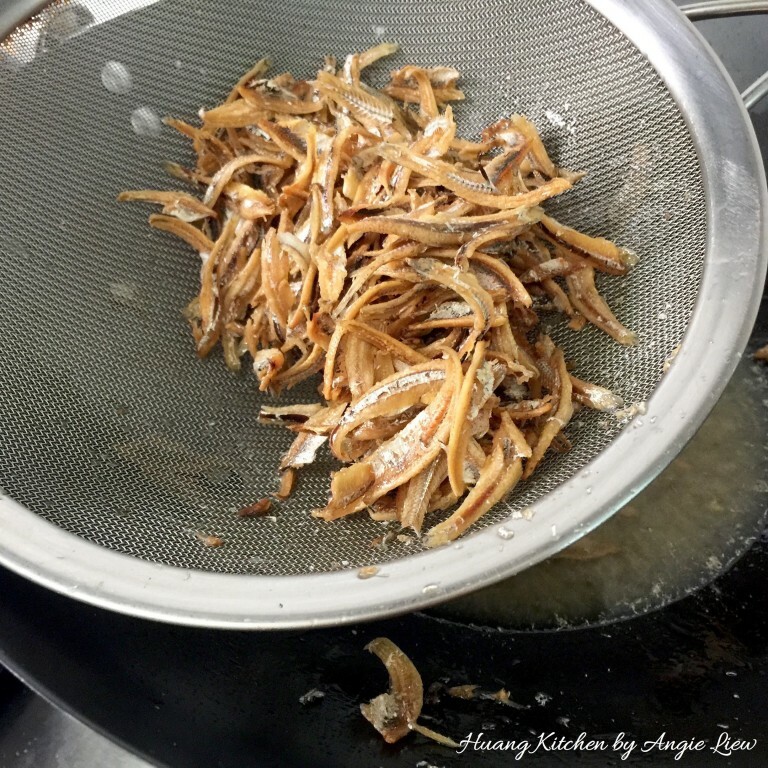 Put aside a portion of the fried anchovies as a side dish to serve with the nasi lemak. 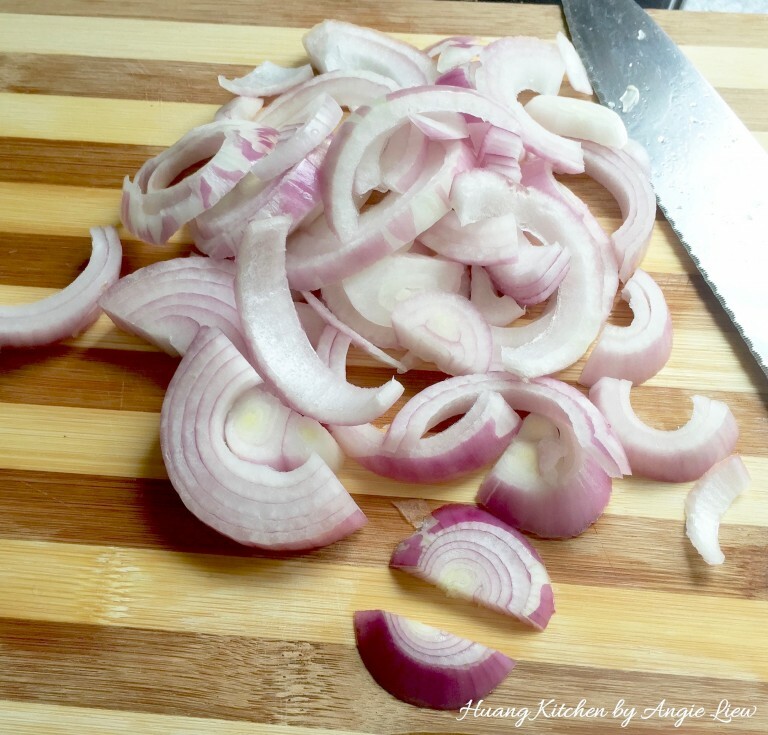 Slice the onions into rings. 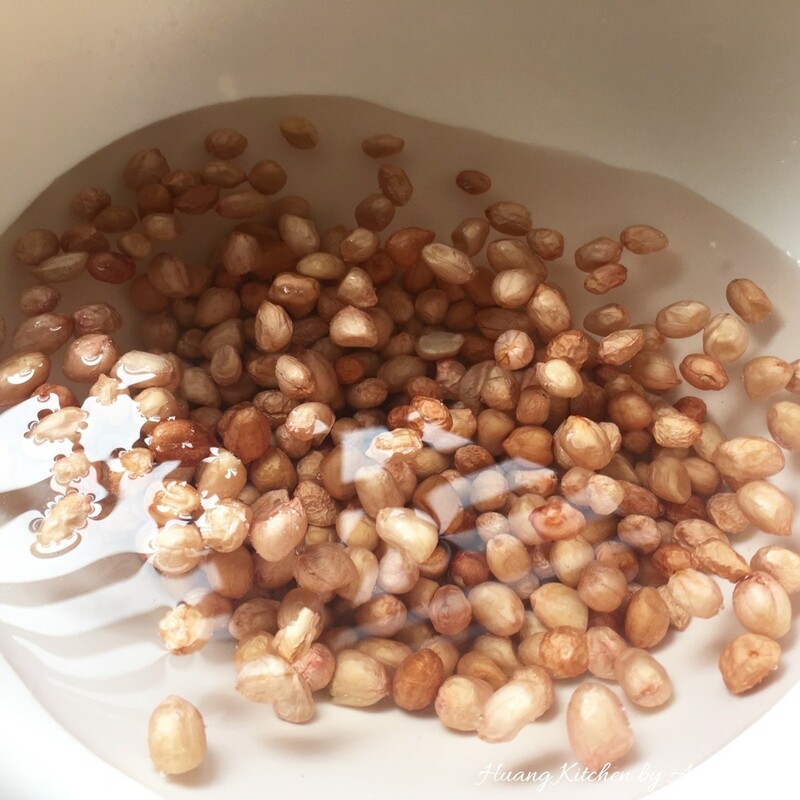 Soak the tamarind pulp in water for 15 minutes. Squeeze the tamarind to extract the flavour into the water. Using a strainer, drain the pulp and keep the tamarind juice. 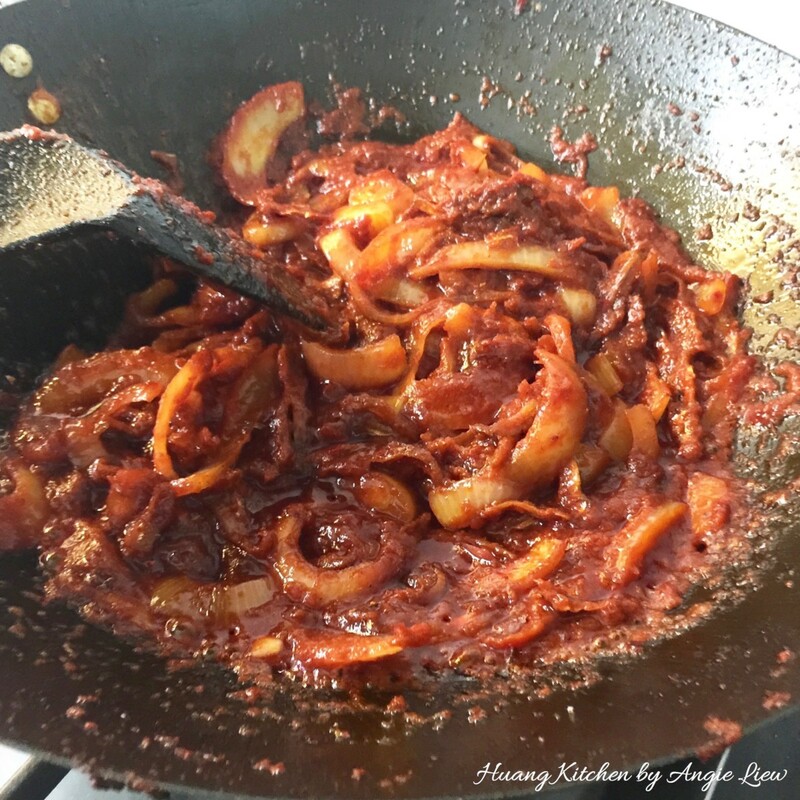 To fry the sambal, first heat some oil in wok. 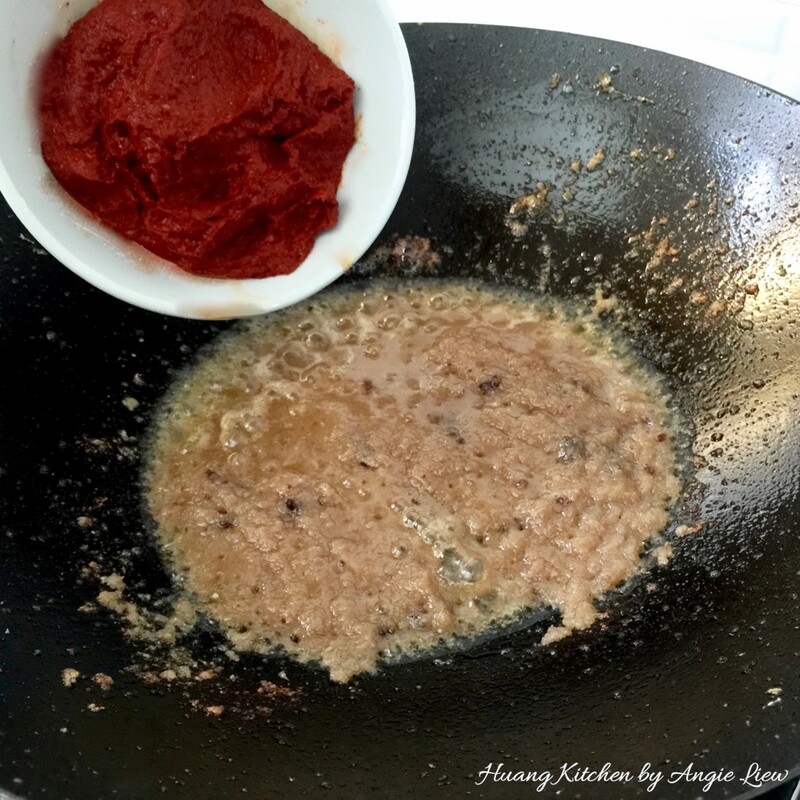 Add in the prawn paste and fry until it releases its flavour. Then add in chilli and spice paste and fry until fragrant. 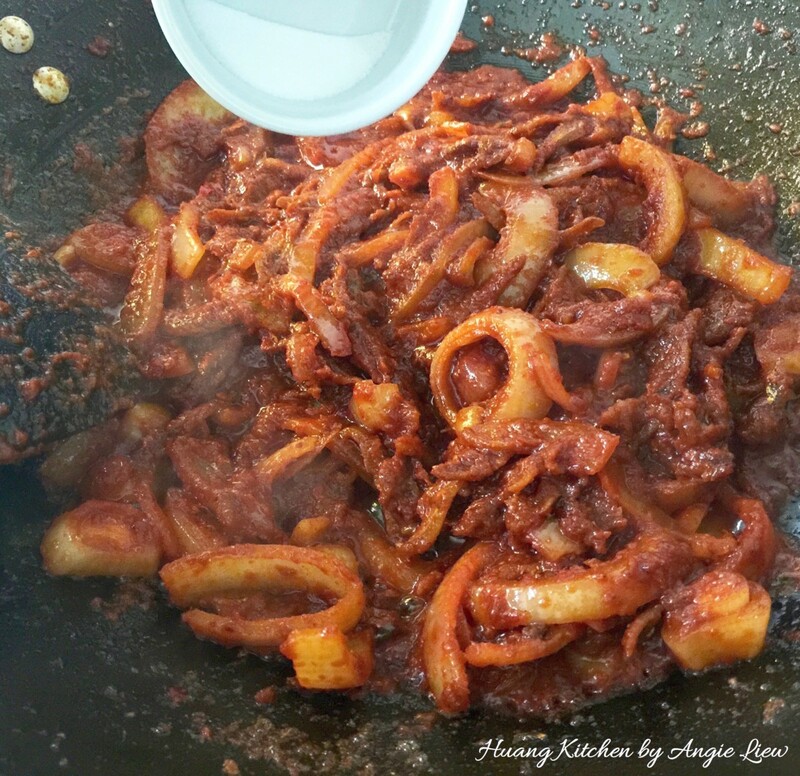 Add in the onion rings followed by the fried dried anchovies and stir well. Then add in the tamarind juice. Next, season with salt and sugar. 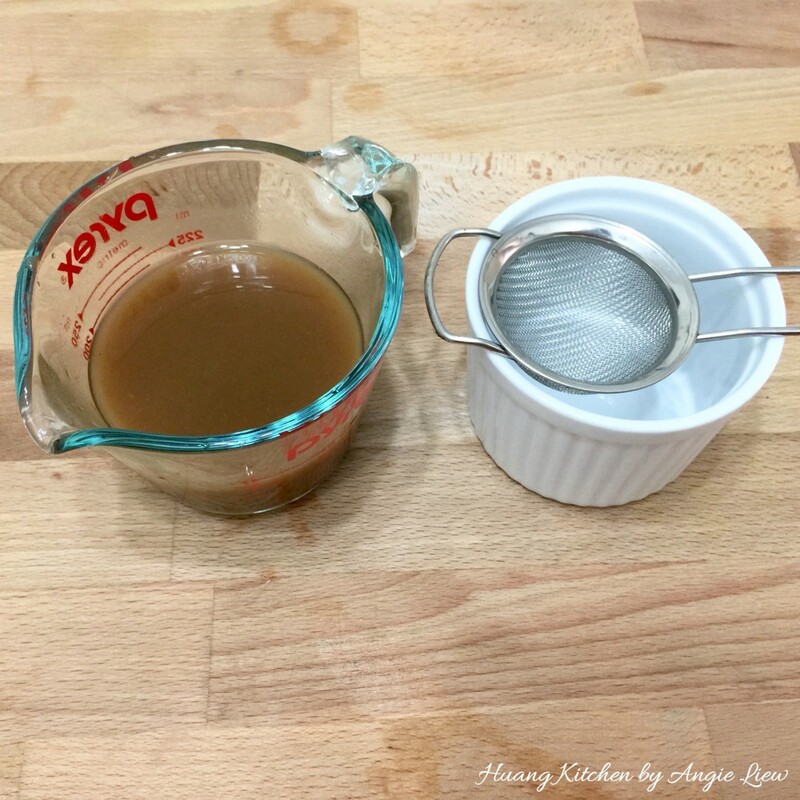 Simmer over low heat until gravy thickens and we're done! 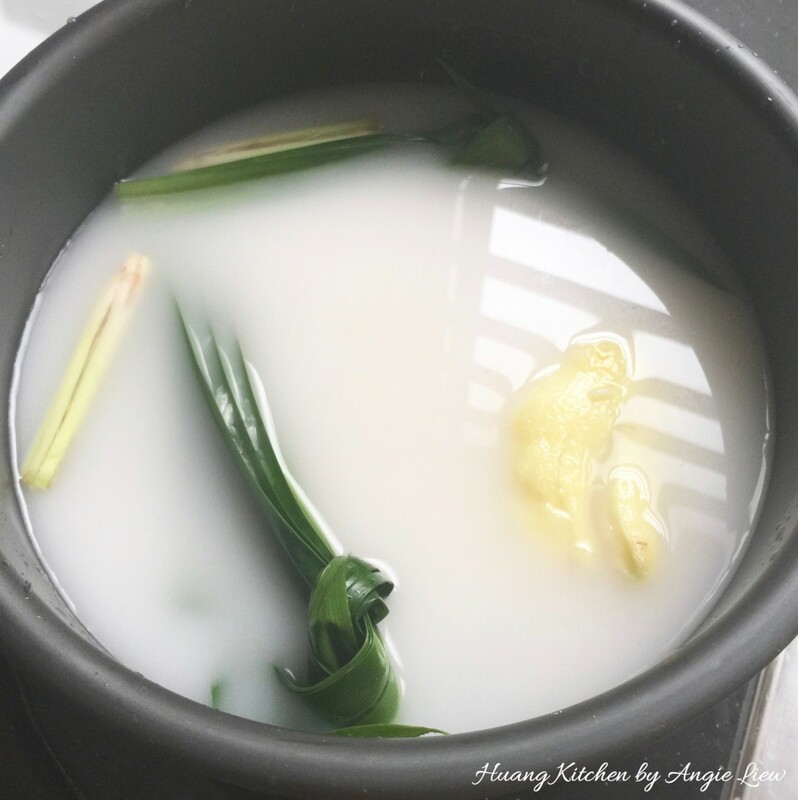 Set aside to be served at room temperature alongside the steamed coconut milk rice. 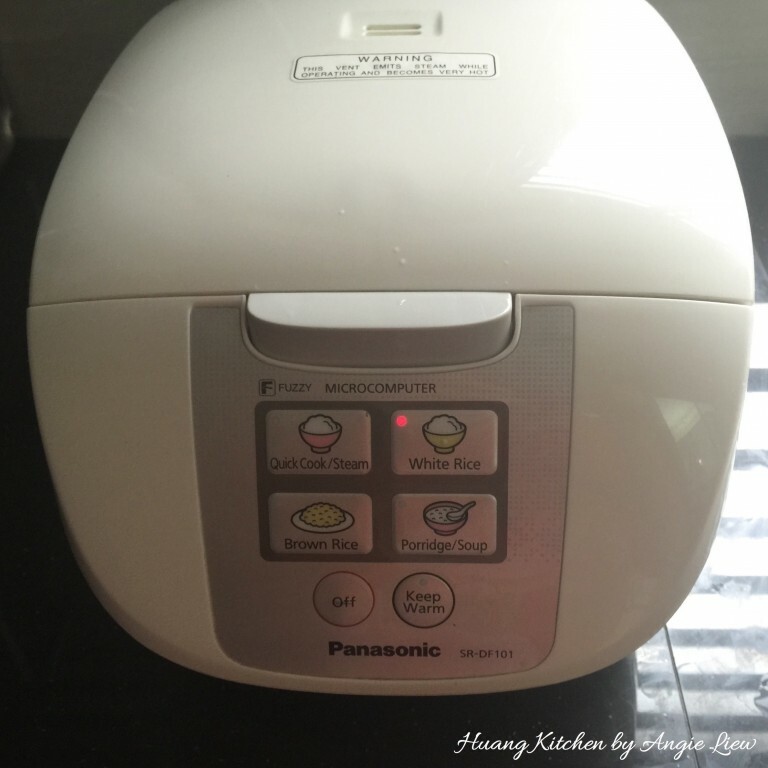 Rinse the raw peanuts and drain the water. Heat a clean wok until it begins to smoke. 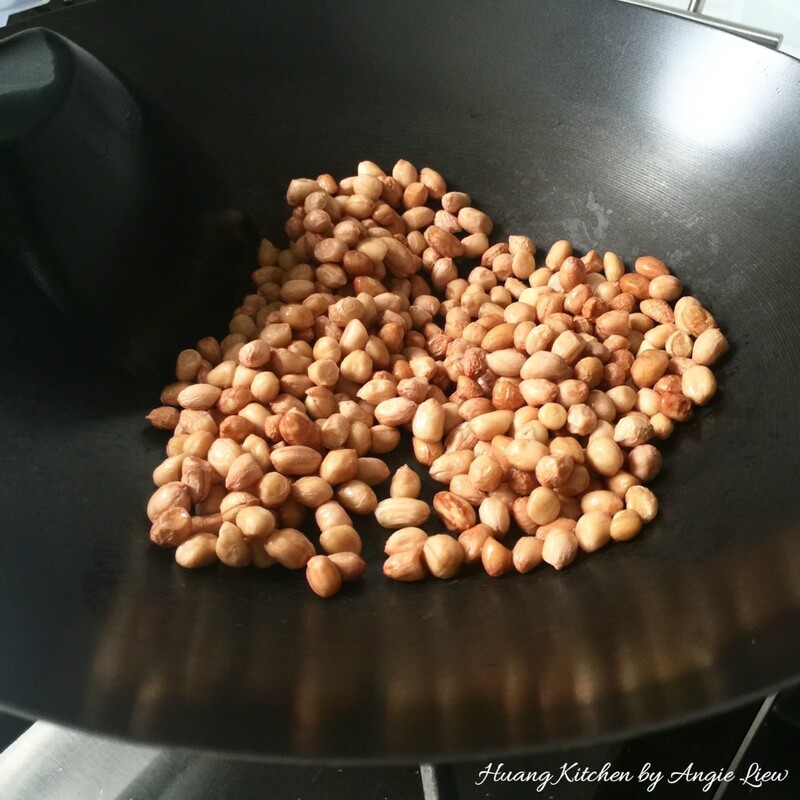 Put raw peanuts (and salt/ optional) in to fry. Lower the heat and stir fry constantly for 5 minutes. 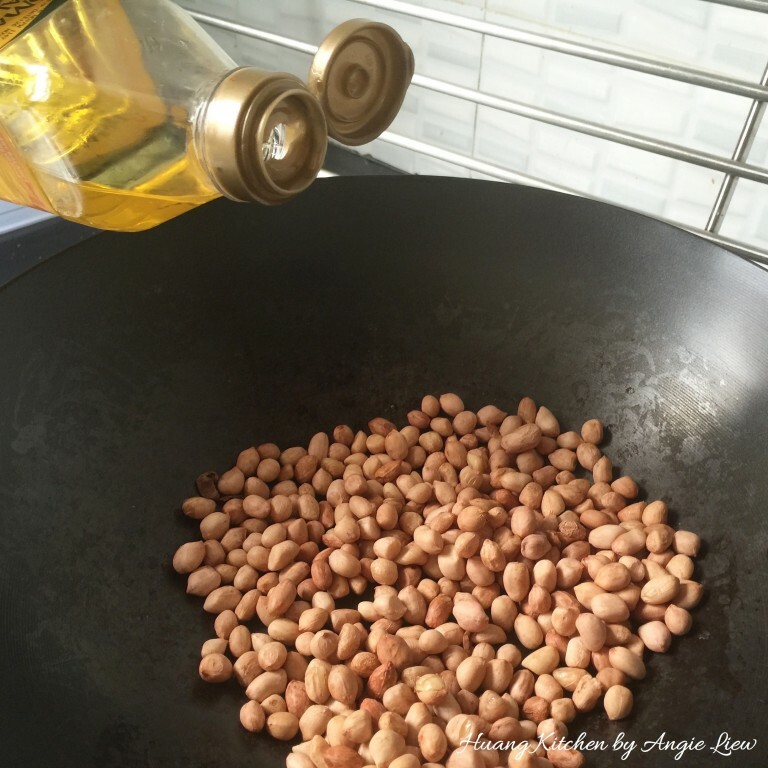 Add in a drop or two of vegetable oil and continue to fry with a quick to and fro motion until they begin to turn brown and coated with the oil. Remove and set aside to be served with the nasi lemak. 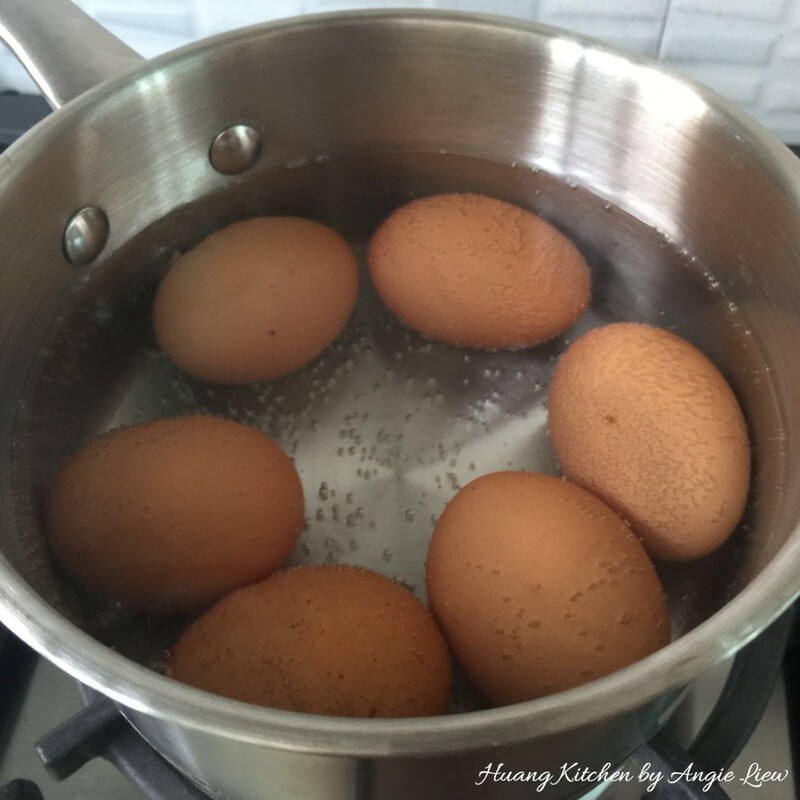 To make the perfect hard boiled eggs, first pour water into a pot. Add the eggs. Then switch on the flame. At boiling point, cover the pot and switch off the flame and let cook for another 15 minutes. To keep the yolk in the centre for better presentation, stir the pot occasionally when the egg is cooking. 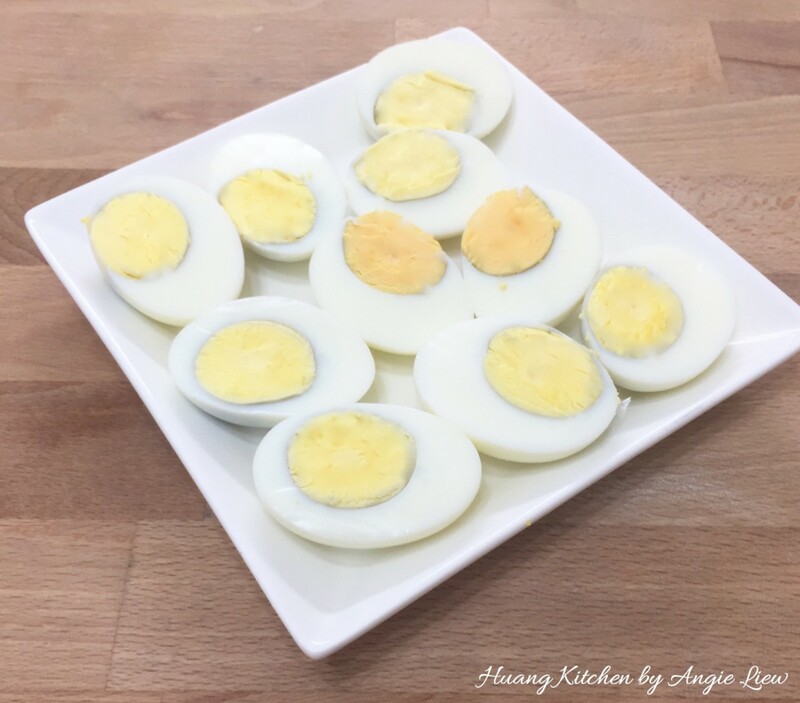 Remove the egg shells when they are still warm. Using a sharp knife, slice the eggs in halves when they have cooled to ensure that the yolks are sliced smoothly. Then set aside to serve with the hot coconut milk rice. For cucumber, try to use the local variety. 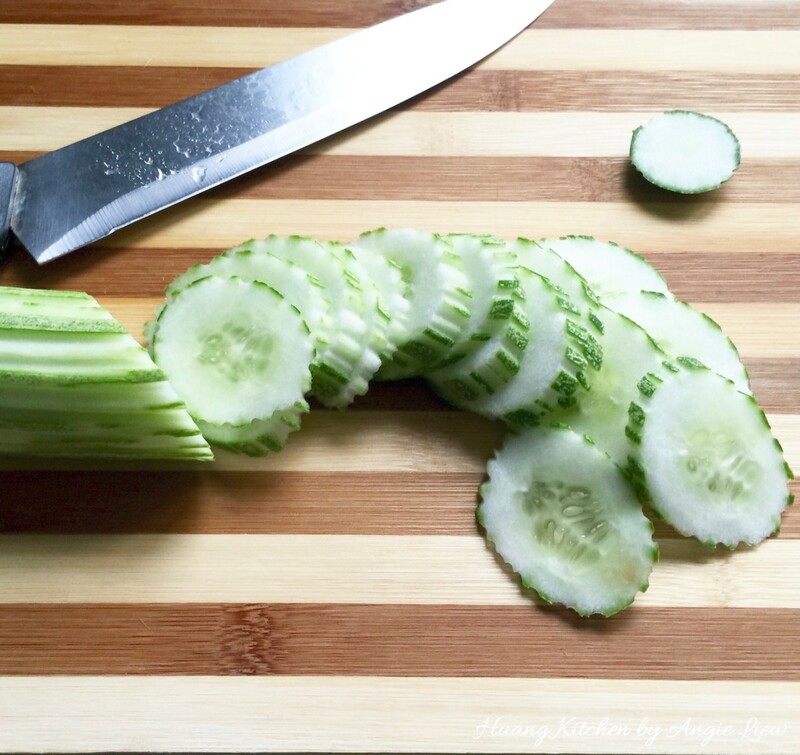 Cut off both ends and peel the cucumber. Then slice into thick slices. There is no need to remove the seeds. And we're done! 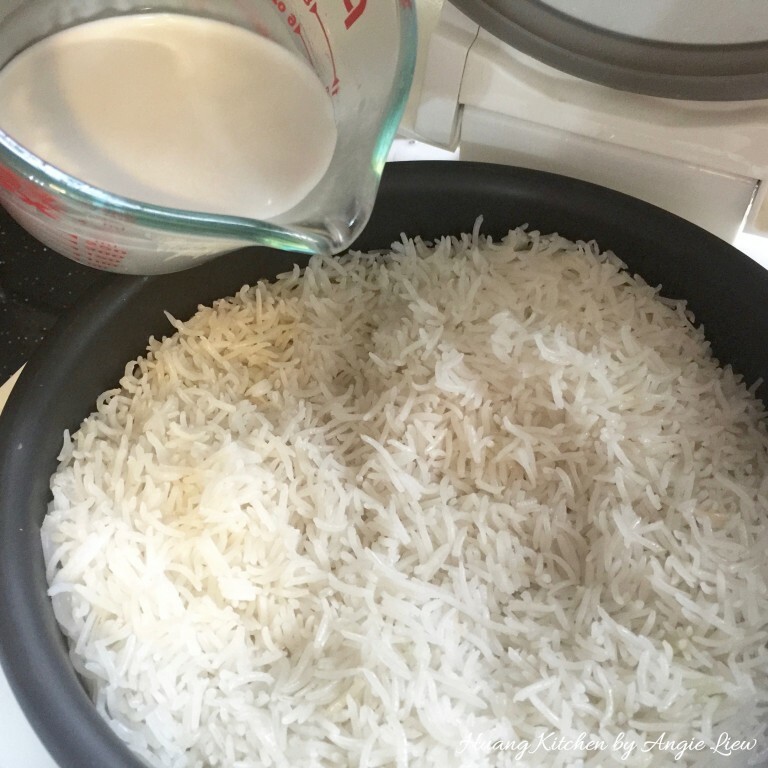 Dish up the hot coconut milk rice on a plate and serve alongside with all the others. Enjoy! 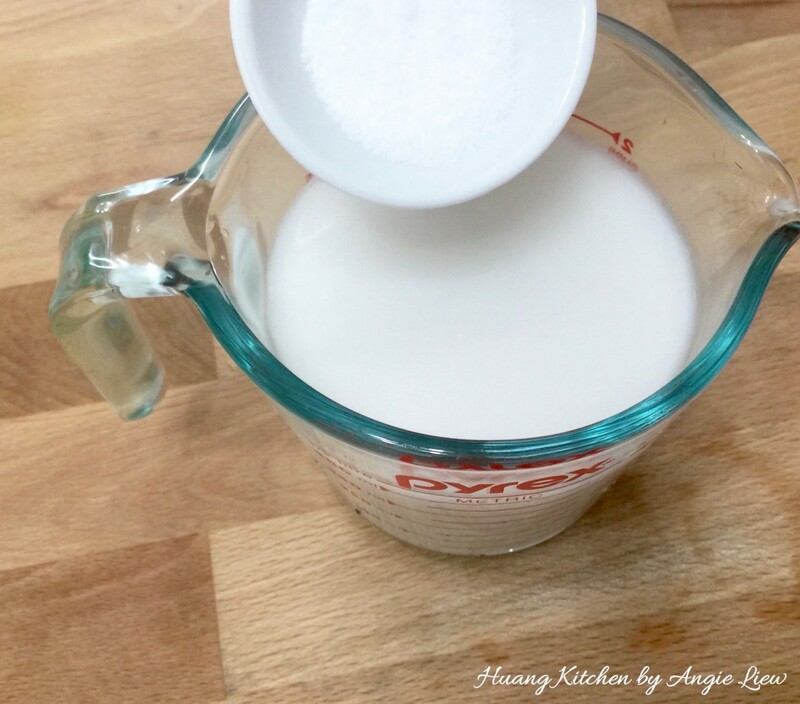 It’s important to note that you must not add in ALL the thick coconut milk right at the start. 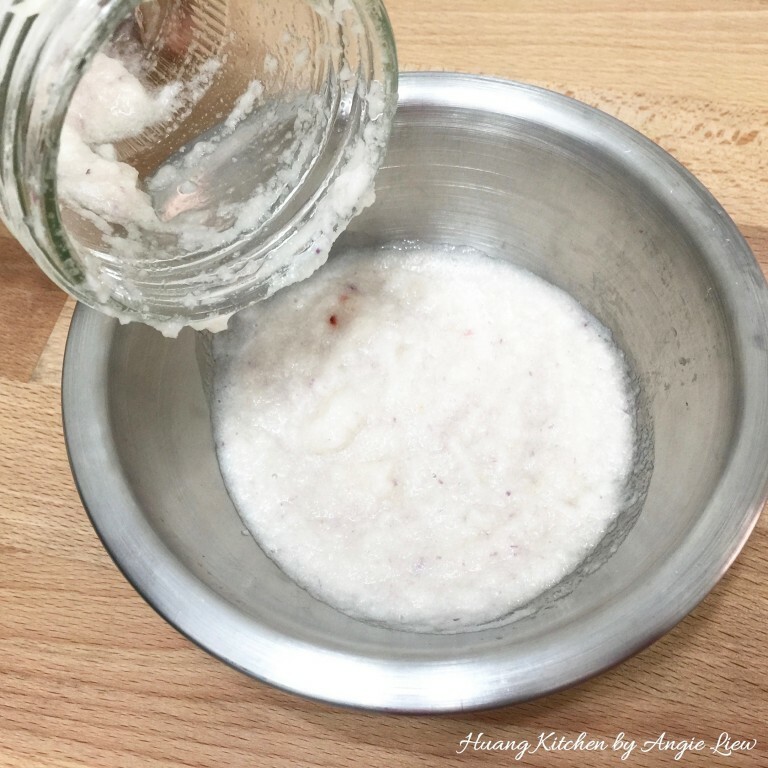 Otherwise the oil in the coconut cream will prevent the rice grain from cooking properly. 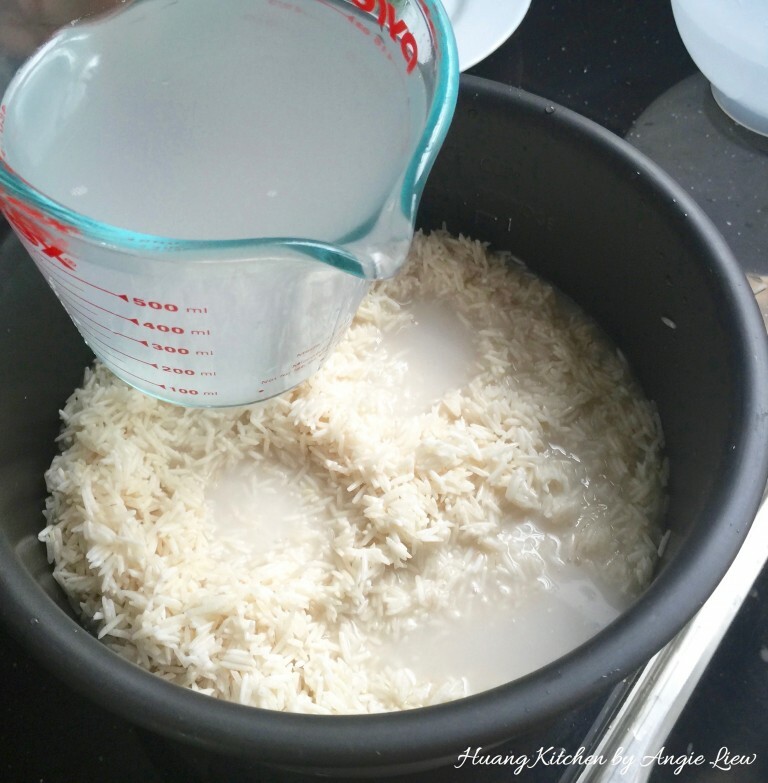 For 1 kg of rice use 200 ml of thick coconut milk (1 coconut). However, use 50ml with water to cook first. Then the balance during warming stage. Also sufficient salt is necessary (2 teaspoon). 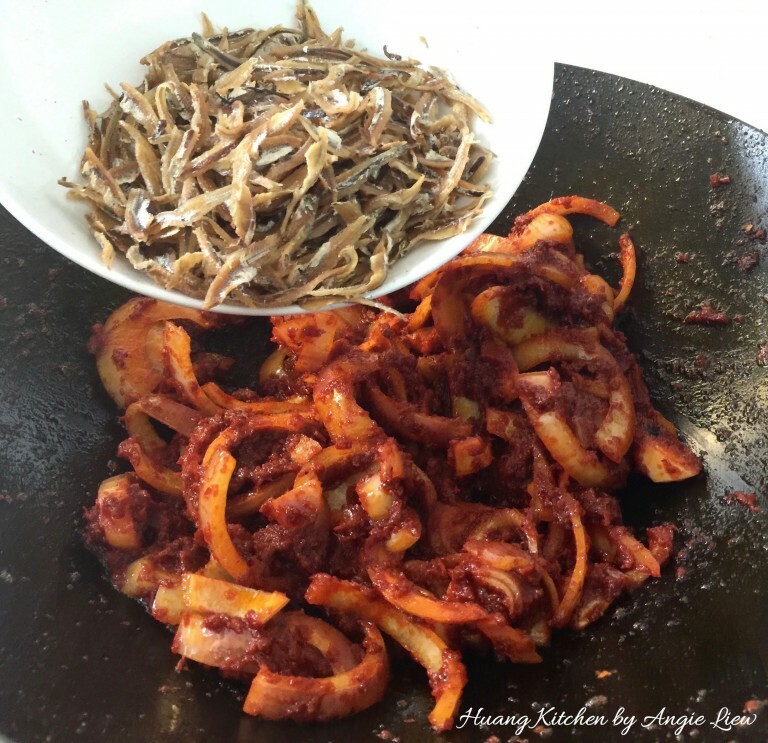 You can also serve the fried anchovies and the sambal separately.